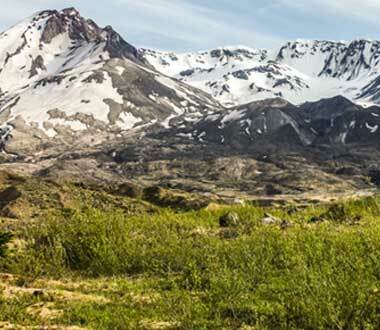 Mount St. Helens is a popular climb for both beginning and experienced mountaineers. 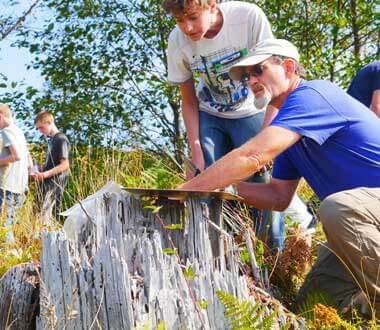 Though Mount St. Helens is accessible to climbing year-round, late spring through early fall is the most popular season. Most climbers use the Monitor Ridge Route from Climbers Bivouac. This route gains 4,500 feet in five miles to the crater rim at 8,365 feet elevation. Although strenuous, this non-technical climb is suitable for people in good physical condition who are comfortable scrambling on steep, rugged terrain. Most climbers complete the round trip in seven to twelve hours. While climbing to the crater rim is permitted, entry into the crater is strictly prohibited. Climbing an active volcano has associated risks. These include, but are not limited to; volcanic activity, weather hazards, avalanches, terrain traps, equipment failure, and human error. Before heading into the backcountry for any reason or any length of time, make sure to take the precautions necessary to ensure a safe return. Obtain a climbing permit for your entire group. Make sure each member has a copy, printed or digital. Train appropriately. This will look different for each person, but do several hikes in the weeks ahead to prepare you for the 10-12 mi, 4,500-5,500 ft climb. Leave your itinerary, driving route, and estimated return time with someone you trust. Make sure they know what to do in case of an emergency. Check the conditions. Never attempt to climb a mountain in hazardous conditions, i.e. thunderclouds, lightening storms, avalanche danger, etc. Remember that conditions can change on the mountain rapidly and sometimes unpredictably. Pack equipment that matches the conditions. 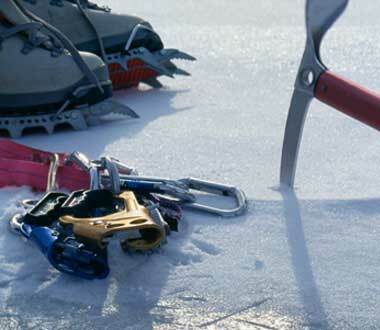 This may include avalanche beacon, probe, shovel, ice axe, snowshoes, and/or crampons. For a detailed sample equipment list, click HERE. Know how to utilize and safely carry this equipment before you head into the backcountry. Sign in to the register at the trailhead before you start your climb. Be prepared in case of an emergency. There is limited to no cell phone service on the roads leading to the climbing route or on the climbing route itself. Do not rely on your phone, and carry an alternative for emergency communication. Have enough supplies to last at least one night on the mountain. Notify your emergency person once you are off the mountain.